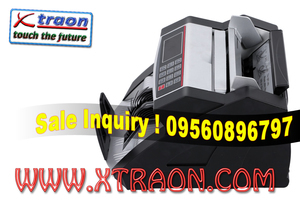 XTRAON GX-702S is Latest Economical Note counting machine with Counterfeit detection. The machine has an excellent counting platform designed to count all types of currency with ease. Be it old, new, deformed, soiled or circulated currency, XTRAON GX-702S is the right choice for customers who look for Economical counting solutions including reliable counterfeit detection.